Our clients voice their frustration with using regular population forecast information – whether it’s geography that is too big for accurate planning, infrequent updates, or underlying assumptions that are ambiguous or hard to trust. In this blog, we explore how using the right level of detail for population forecast information can make a big difference to your planning efforts. 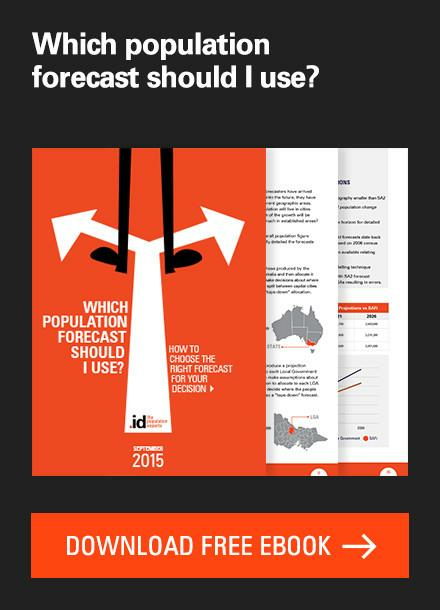 What’s the difference between population forecasts? We have recently updated our Small Area Forecast information (SAFi) for Western Australia, so let’s use examples from WA. While forecasts available for SA2s (statistical areas roughly equivalent to suburbs) may be useful for broadly understanding population change, our clients usually tell us they need more granular data to accurately plan well located services and infrastructure. 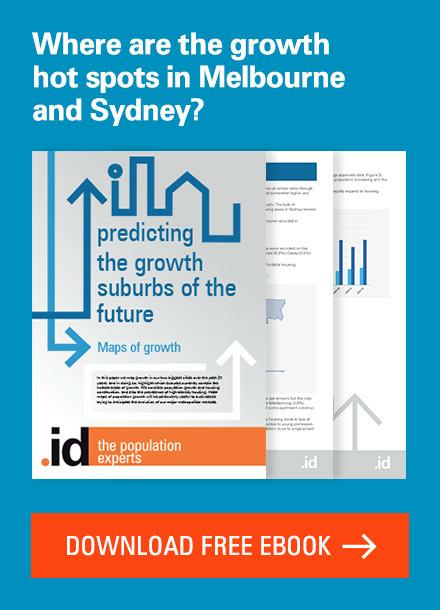 .id’s population forecast information is developed at a hyperlocal level smaller than SA1 (an ABS statistical area of around 200 dwellings) to allow for detailed, granular planning. Our large forecasting team work closely with local government and business clients in Australia and New Zealand, so we have a detailed understanding of how residential housing development changes affect communities over time. 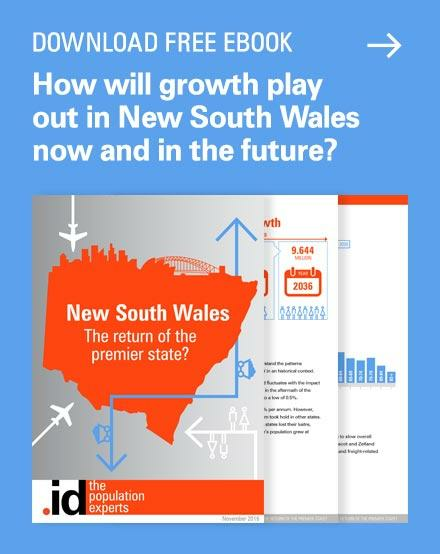 We forecast future populations in granular detail to help governments and organisations make better decisions about where and when to plan infrastructure and service delivery. A major benefit of developing forecast information at a micro-geographic level is that these small areas can be built into custom catchment areas for more precise planning. In this example we can see high population growth on the fringes of metropolitan Western Australia in the coming 5-years. Yanchep and Baldivis are expected to see large increases to their populations. Yanchep will grow by 75% to reach 46,300, while Baldivis will grow by 40% to reach 47,800. It’s important to understand how population change plays out locally to accurately plan for the future. Below we can see that despite Yanchep experiencing high levels of population growth overall, growth will be concentrated around Yanchep centre, Eglinton and Alkimos, while other areas will have much smaller increases and even declining populations. .id’s custom small area forecast geography offers a detailed way to explore where local pockets of population growth will be concentrated, drilling down even further into the forecast data proves valuable for many of our clients. Breaking down the population by age is useful to understand where to best locate infrastructure and services to reach target markets in the right place, at the right time. 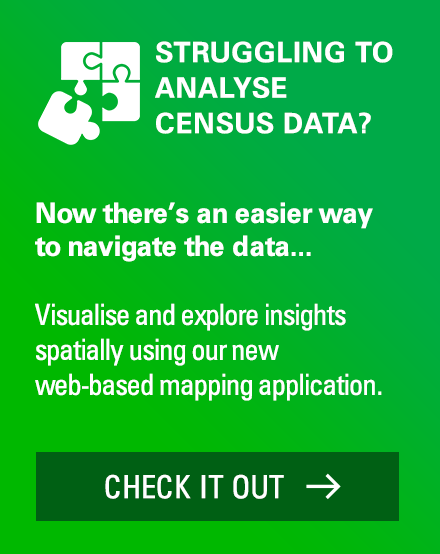 Often service providers need to understand how the population will change within a specific catchment area that doesn’t conform to standard statistical geographic areas, so finding population forecasts at the right level of detail can be a challenge. When the information is used to support large strategic decisions involving multi-million dollar outcomes, it’s important to find the right level of demographic data to use as an evidence base. 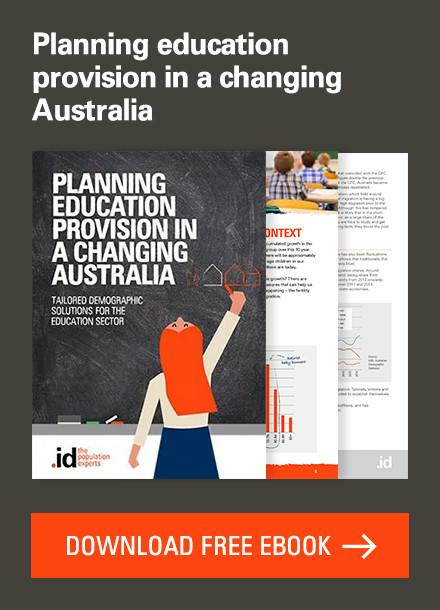 Imagine an education service provider interested knowing how and where the population of young children will change in the short-term future to plan for the delivery of child-based services such as pre-schools, early learning centres or schools. While the service provider uses postcodes for their planning and service delivery, postcodes don’t always align to relevant areas on the ground. That’s where SAFi can benefit planners who have unique geographic planning requirements. Developed at a micro-geographic level, SAFi gives planners the flexibility to aggregate small areas to form a custom catchment area relevant to planning requirements. Below is an example of how SAFi can be used to show exactly where the population aged 0-4 years old will grow (and where it will decrease) for every year of a future period in question. Using .id’s spatial analysis platform Placemaker, the data for the custom area is visualised in the map below, showing the SAFi small areas grouped together to form the postcode 6038 (Alkimos). Customised reports can then be generated at the click of a button to summarise the changing demographics of the custom catchment area. We can see from the report for the Alikmos area that the number of 3-year olds will almost double in the next 5 years, rising from 170 to 300. 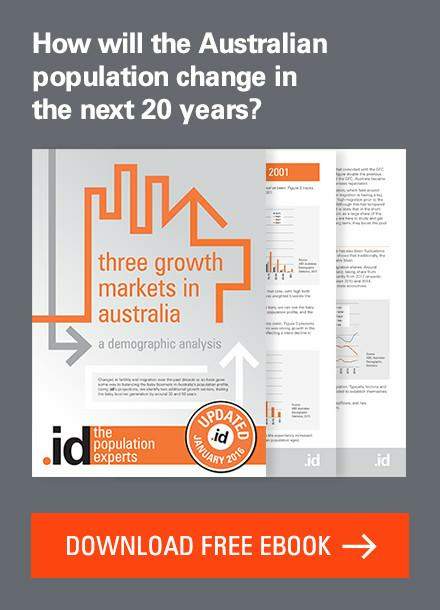 To make your next strategic decision using the right level of evidence, contact .id – the population experts. 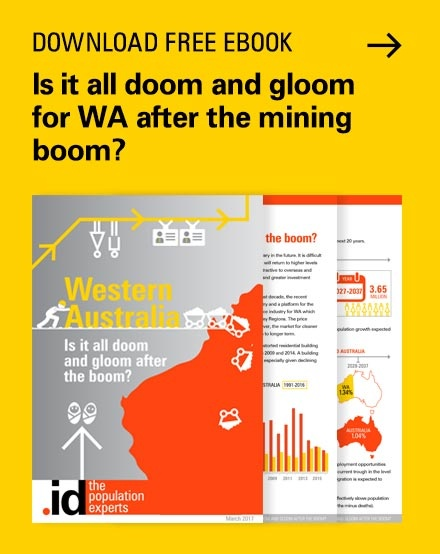 Read more about WA’s population change in our new eBook, Western Australia: Is it all doom and gloom after the boom? 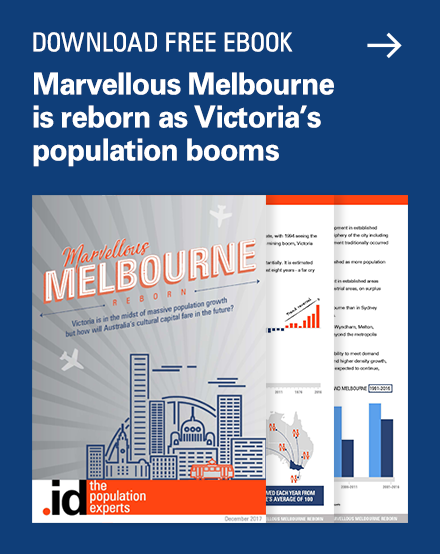 .id is a team of demographers, population forecasters, spatial planners, urban economists, IT and data experts who use a unique combination of information, applications and consulting to help governments and organisations understand people and places for evidence-based planning. Access our free demographic resources here. Previous story How much is an Aluminium worker worth?